It appears to be the year of the ‘comedy man’ hosting awards shows. Earlier this year American comedian Chris Rock hosted the 88th Oscars ceremony and left quite an impression,and keeping with this popular global theme, ZAA have secured Ncube’s services as compere for the evening’s proceedings, and he says he has a few tricks up his sleeve. The awards gala dinner is scheduled for the 10th of December at the renowned Maslow Hotel, located in Sandton’s financial district, only a few minutes away from the Sandton Gautrain station, Sandton City mall and Nelson Mandela Square. ZAA Organising Director Lawrence Dube said his team were proud to have secured The Big Announcement star for ZAA SA’s third chapter. We are thrilled to have sealed the deal with Carl for the third anniversary of the popular event. Carl is a comedy genius who is admired everywhere and, we expect that he will leave his mark in two weeks. There are not many comedians today that have Carl’s charm,personality and gift for comedy. He is multi-talented and has made a name for himself,locally and internationally. For years he has captivated people far and wide, and we are pleased to get the opportunity to experience his talent in person. The Internationally acclaimed comedian,who recently made a successful attempt breaking the world record of the longest stretch of performances by a comedian in seven days said, that he is looking forward to cracking a few ribs at the SA edition. Seriously, l am looking forward to meeting all the amazing achievers and hopefully making them laugh at the same time. Staging a total of 31 shows between August 17 and 23, Ncube’s grand tour covered South Africa, Harare, Kadoma, Gweru, Bulawayo and Victoria Falls. He broke the previous record held by Australia’s Mark Murphy who covered a total of 30 shows over a seven day period. Murphy had held this record for approximately 9 years. Ncube and his team are currently collating evidence that they may use to submit to the Guinness Book of World Records. I know that I broke a world record, you know that I broke a world record. Now we have to compile all this evidence to convince GUINNESS WORLD RECORDS that I broke a world record. 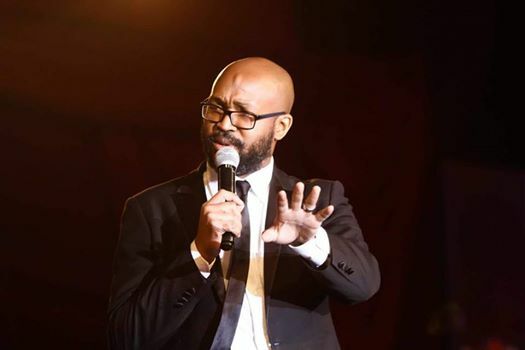 Described by CNN African Voices as the “New face of Zimbabwean Comedy”, Carl literally broke into the Zimbabwean comedy scene with his debut one-man show, Carl Joshua Ncube’s Big Announcement, which set him up as the biggest Zimbabwean stand up comedy export. Considered by his peers as an innovator who constantly pushes boundaries, Carl has done numerous one man shows and has performed at HIFA, Shoko, and Ibumba festivals around the country. The team have also announced two new sponsors – Mukuru.com and Food World Zimbabwe. ZAA International Executive, Louis Charema welcomed Mukuru.com and Food World Zimbabwe on board and thanked them for being part of the growing vision. The multi-million dollar companies join headline sponsor Steward Bank as partners for the forthcoming event. Mukuru.com is a reputable money transfer provider across Africa, operating in eight African countries that include, Botswana, Kenya, Congo, Lesotho, Malawi, Mozambique, Zambia and Zimbabwe,with the added advantage of being able to send money from the United Kingdom to selected African countries. “Mukuru.com are happy to be sponsoring ZAA South Africa, as this aligns with one of our goals to uplift Africans. Such events allow us to make a significant contribution to the success of Africans worldwide,” a spokesman for Mukuru.com said. Established in 1985, Food World Zimbabwe is an independently owned supermarket group. The company provides a shopping experience that encompasses all departments in one place. Currently operating in six supermarkets and one wholesale branch in Zimbabwe, Food World has approximately 1000 employees. Since it’s inception in the UK in 2011, the Zimbabwe Achievers Awards has become a global event that has gained momentum over the years, and continues to recognise and celebrate the achievements of Zimbabweans worldwide. With the US edition’s inaugural event taking place in Texas on Saturday 19th November,the entertainment line-up includes headline act Ammara Brown, who has jetted in for the red carpet affair.